Amazon Echo (2nd Gen) vs. Echo Plus (2nd Gen): Which should I buy? We're a virtual company made up of tech experts from across the globe. We live and breathe smart home technology, so if you're just stepping into this exciting new tech space we're here to help set you in the right direction. The new Echo Plus is essentially the same size as the standard Echo but somehow manages to pack in the all-important Zigbee hub that makes it the best starting point for converting your house into a smart home. Definitely worth the extra price if you're interested in smart home products. 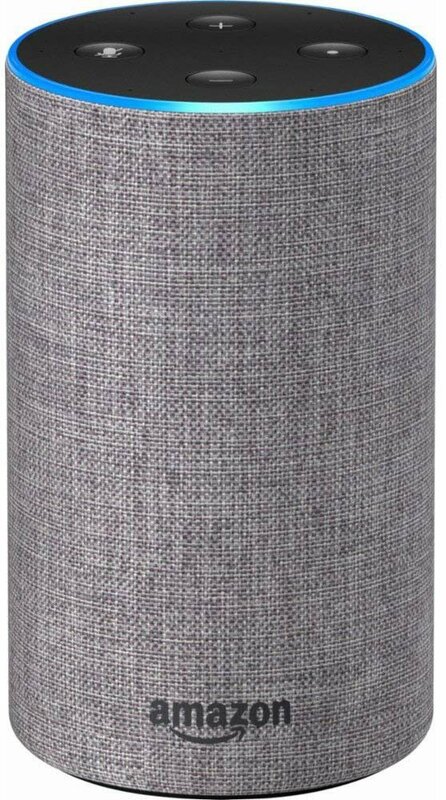 The second generation of the Amazon Echo was the first Alexa speaker to ditch the black obelisk design style in favor of a more friendly fabric finish. The physical size was also nearly cut in half, making the Echo a more side-table friendly option for your living room space. It's a great option for anyone living in a bachelor apartment or other small space. Doesn't double as a smart home hub. Both the Amazon Echo and Echo Plus are great smart home speakers and offer significant aesthetic improvements over Amazon's first generation. The newer speakers are shorter and less intimidating to look at on a shelf or end table, so if you opted for the less intimidating Echo Dot your first go around, you'll probably enjoy adding one of these to your home. In terms of specs, the two speakers are extremely similar. The Plus is appropriately a little larger with a slightly bigger woofer that'll give your music some extra "oomph". But the biggest differentiator — and the spec that will likely determine which you buy — is the ZigBee smart home hub built into the Echo Plus. Size 5.8" x 3.4" x 3.4" 5.8" x 3.9" x 3.9"
If you're choosing between the Echo or Echo Plus, your decision should be determined by the following: your existing smart home setup and/or whether that's something you're interested in. If you've already bought something like a Philips Hue Starter Kit, Samsung SmartThings kit, or have otherwise setup some connected bulbs, plugs, sensors, or cameras around your home, you should be able to connect and control everything with Alexa on a standard Amazon Echo. There's incredible support for all brands of smart home gadgets and accessories, so chances are if you're already controlling it with your phone, Alexa will let you control it with your voice. But let's say you don't own any smart bulbs, switches, or plugs — but you're interested in changing that. The Amazon Echo Plus is going to be the better investment thanks to the ZigBee hub built right in that lets you connect and control hundreds of products without having to deal with a myriad of clunky apps or installing an extra hub somewhere. In fact, Amazon is bundling the Echo Plus with a free Philips Hue smart bulb, so that's a great place to start. The Amazon Echo Plus is our recommendation for anyone. 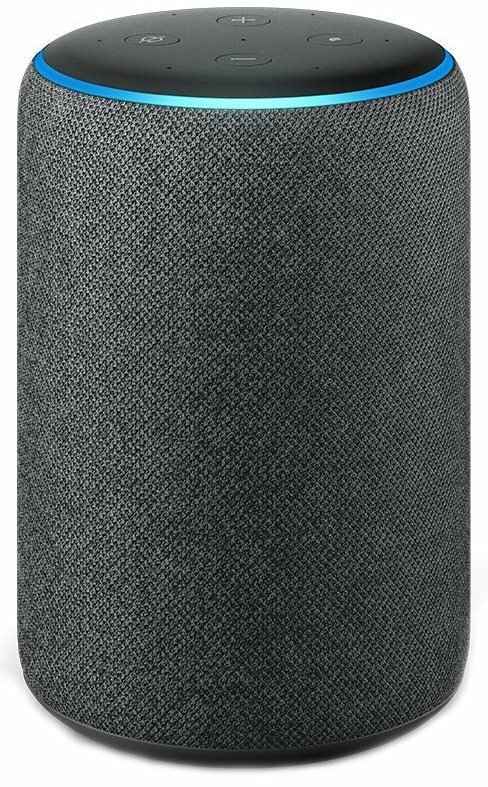 It's the biggest and best-sounding Echo speaker (ignoring the Echo Sub) and comes ready out of the box to connect to the most popular smart home products. Getting it with a free Philips Hue bulb thrown in is just icing on the cake. The mid-range Echo speaker is a great product but pales when compared to the slightly better sound quality and added functionality found in the Echo Plus. At $100, it's probably worth spending the extra $50 for the Echo Plus, although snagging a Certified Refurbished Echo (2nd Gen) for just $80 makes for a tempting deal on a great smart speaker.